The Cypriot national broadcaster CyBC confirmed today what was more than obvious the last days, that Alex Papaconstatinou will be the man behind the composition of its Eurovision 2019 entry. CyBC confirmed what after days of rumors and teases implying it , that Alex Papaconstantinou will be the composer of the Cypriot Eurovision 2019 entry. After last year’s collaboration with Fuego and making history will the country’s 2nd placing in the final, the Cypriot broadcaster following the principle , you don’t change a winning recipe, is sticking once again with the man that brouhgt the country’s best Eurovision result. 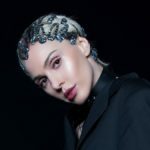 Cyprus is expected to internally select its participant for Eurovision 2019, and according to so far reports Tamta seems to be the frontrunner acts in the broadcaster’s preferences. Cyprus debuted at the Eurovision Song Contest in 1981 with the group Island, achieving an honorable 6th placing in Dublin. Aphrodite’s island has been represented by some of the biggest names in the Greek and Cypriot music industry: Anna Vissi (1982), Michalis Hatzigiannis (1998), Evridiki (1992,1994,2007), Ivi Adamou (2012), Despina Olympiou (2013), etc. The country achieved its best Eurovision result this year when it placed 2nd with Eleni Foureira’s Fuego. The Athens-based mega-star was selected internally to fly the Cypriot flag at the 2018 Eurovision Song Contest in Lisbon. Eleni made Cyprus proud with her magnificent and dazzling performance at the Altice Arena. What do you think , is Cyprus getting closer to achieve its first victory in Eurovision and bring the contest on home soil?